In a large punch bowl mix together the sprite and fruit punch then spoon sherbet on top just before serving. I generally make only half at the beginning of the party then add in the second half as a refill once needed. You can mix up this punch by changing out the flavor of the Hawaiian fruit punch and sherbet! Help kids create their own long-lasting toy with this easy-to-make slime — it pulls apart, stretches, and even bounces! Mix together 1/3 cup warm water, 1/2 cup Elmer's glue, and Kool-Aid or food coloring. Stir thoroughly with craft stick; set aside. Mix together 3/4 cup warm water and 2 teaspoons Borax. Stir thoroughly with craft stick; pour into mixture one, stirring continuously. 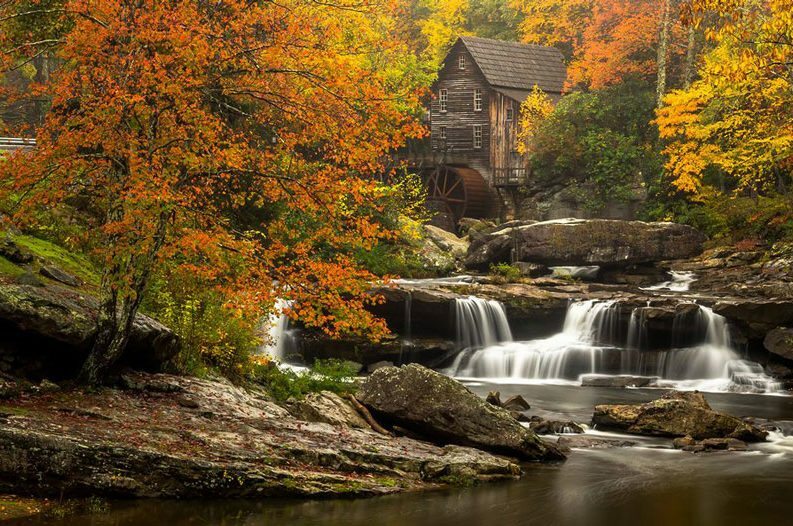 Tennessee, the Volunteer state, is recognized each year in October. It was the 16th state added to the union. 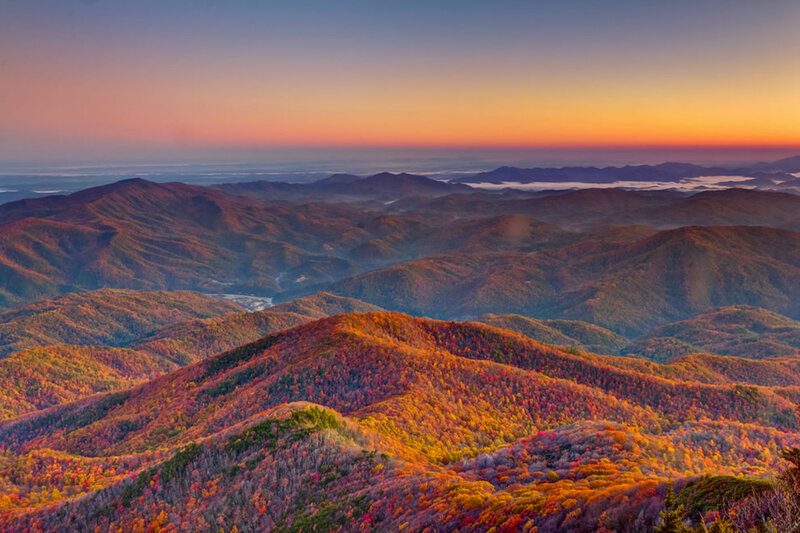 Offerings from Tennessee include the Great Smoky Mountains, a great love of music and history tha packs a punch. Most of all it is a gateway to the deep south. The Civil War did no favors for Tennessee. Inheriting a slaveholding reputation there were many that sympathized with the Union as well. It was divided in and among itself during the American War. Due to the division each county in Tennessee has seen at least one battle or skirmish. However, the state did recover and still continues to prove that is a very artistic state. Memphis and Nashville continue to showcase talent in the music and entertainment industry. More than 75 years The Grand Ole Opry has showcased radio performances that have thrilled audiences of all ages. Royalty itself found home in Graceland where Elvis, the King of Rock and Roll lived and Aretha Franklin, the Queen of Soul was born in Memphis. While great stars play on stage there are stars in the sky above all the great waterfalls, trails and wildlife. The National Coalition against Domestic Violence stats show that 20 people are physically abused by an intimate partner every minute in the United States. That number quite startled me I had no idea that domestic violence was that large of an issue. For those that find their self on the wrong side of abuse there is a hotline number to call. Every day there are 20,000 calls from around the country to this hotline. 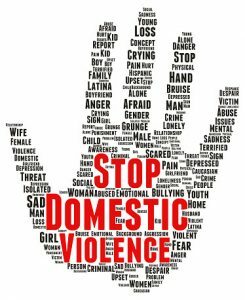 Thus an average of 10 million men and women are suffering from domestic abuse each year, not to mention the number of incidents that go unreported. Given bruises, scars, black eyes, broken bones, etc. Put egg whites in a small bowl; let stand at room temperature for 30 minutes. Add extracts and vinegar; beat on medium speed until soft peaks form. Gradually beat in sugar, 1 tablespoon at a time, on high until stiff glossy peaks form and sugar is dissolved, about 6 minutes. Beat in food coloring if desired. Bake at 250° for 40-45 minutes or until set and dry. Turn oven off; leave cookies in oven for 1 hour. Carefully remove from parchment paper. Store in an airtight container. Seafood is something that many love. Smoked salmon, buttery lobster tails, shrimp cocktails and sushi are just a few of the favorites. For centuries seafood has long been enjoyed. There have been cave drawings found that depicted individuals eating seafood. Eating fish and seafood is a super tasty way to get major health benefits that are offered. Essential nutrients can be gained by eating fish. The type of nutrients depends on the type of fish. All fish offer vitamins and minerals and help promote heart health. Fish is also low in saturated fat and high in protein and rich in omega 3 fatty acids making fish great for cardiovascular system as well as joints. Seafood helps keep natural moisture inside our skin. The glow in our skin is from natural moisture. Likewise the extra moisture will help protect against UV rays from the sun. Fish will also help to boost brainpower and may possibly lower the risk of Alzheimer's disease as well as promote proper brain growth in children. Omega 3 has also been linked to helping to decrease depression. It is advised that pregnant ladies should dine on fish for dinner occasionally. 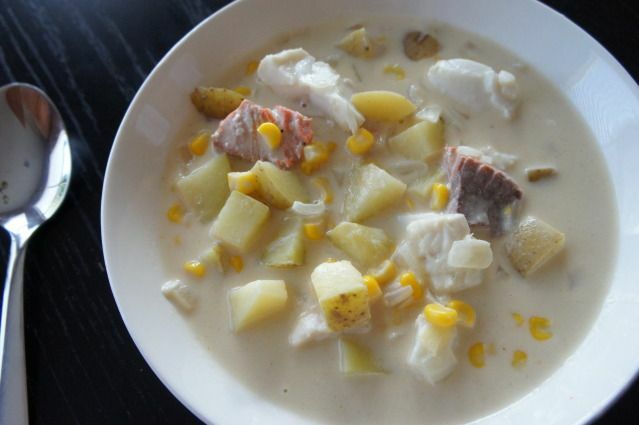 It is believed fish will help increase birth weight and help fetal growth and development. 'with all these great benefits offered by seafood why not try some?? With halloween falling mid-week this year many communities in our area have selected to celebrate it on the weekend. Tonight, was the first night that you may have seen trick or treaters out in hoard. The costumed individuals travel from house to house begging for treats using the words "trick or treat" While the treat is normally some type of candy whild change, soda pops and other items have been handed out by the door greaters the trick is what you want to be aware of. 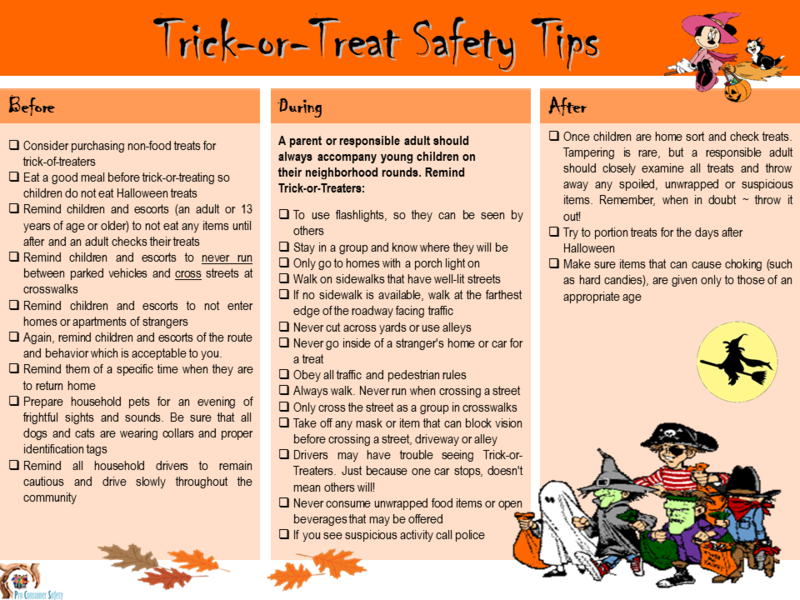 Halloween "tricks" can be a threat of mischief on those property owners when no treat is given. Yards decorated in spirit of halloween is a sign that the individual is participating in the age old "trick or treat" However, to be sure look for a sign like the porch light or other signal. Trick or Treating has become a tradition of Halloween in the United states since the late 1920s. Those in Britain and Ireland have attended to the tradition as far back as the 16th century. In these two countries are many stories of costume wearing individuals reciting verses and treated with food and if they were not welcome they were greeted with misfortune. However, the countries of Canada, United Kingdom, Republic of Ireland, Puerto Rico and Mexico all participate in the custom of trick or treat. Where and when did it all begin?? During the middle ages in Britain and Ireland individuals would dress up "Mumming" and go door to door in costume. Performing short scenes or plays were performed as they begged for food or drink Some believe that this tradition was done on Halloween arised from the belief supernatural beings or souls of the dead roamed the earth and to help appease them trick or treating was performed. 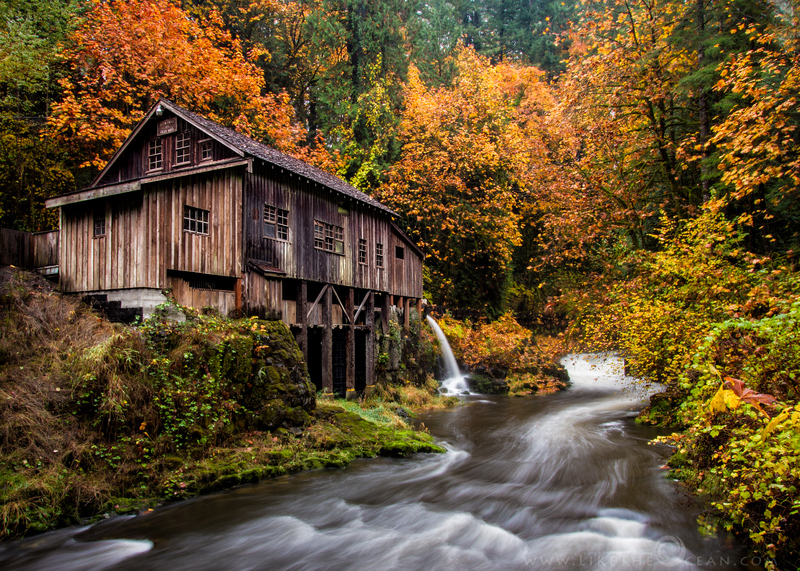 Celtic festivals were hosted on October 31st and November 1st as a way to mark the start of winter. The festival is thought to have some religious attachment. In this area trick or treating is believed to come from tradition of individuals impersonating the spirits or souls of the dead to receive offerings for them. Donning a costume allowed good luck to that individuals as they dressed like the old spirits of winter. Soul cakes were a popular way that Allhallowtide was celebration. This celebration lasted October 31st to November 2. The cakes represented the dead or was offered in exchange for praying for their souls. This act was known as souling. Preheat oven to 200 degrees Celsius Mix all the dry ingredients together in a large bowl. Work the butter into the flour mix until evenly distributed. Add the egg, vinegar and currants and stir with a spoon until it comes together into a mass. Shape dough into a ball, cover and chill for 30 minutes. Lightly flour a clean, flat surface and roll the dough out thin Use a cookie cutter to make rounds and place on lined baking sheets. Use the back of a knife to press a cross into the dough. Pop into fridge to set. 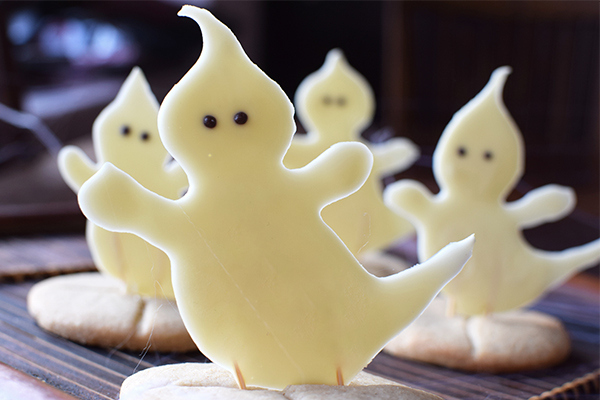 Stick finished ghosts into the cooled cookies using the toothpicks. One of the most common childhood neurodevelopmental disorders is ADHD. The problem is that this disorder is misunderstood, stigmatized and denied as a legitimate disability. 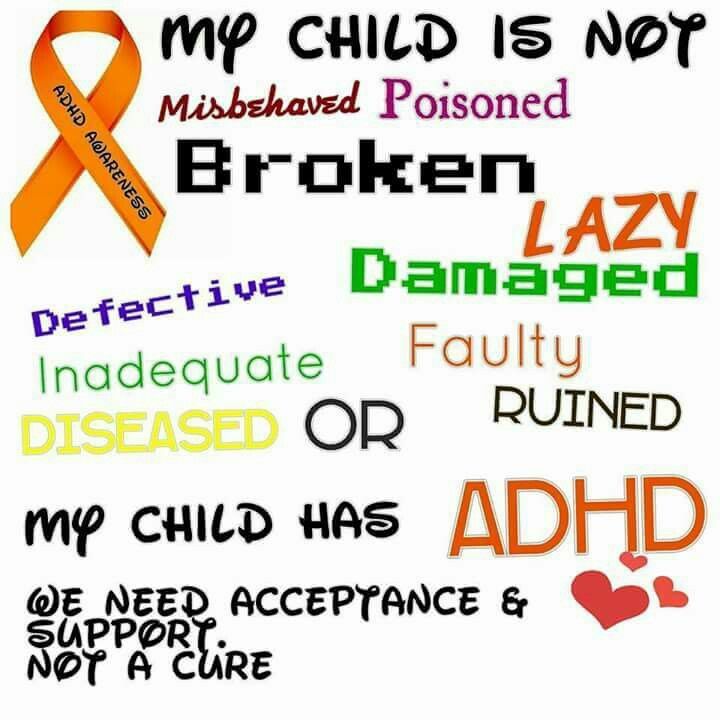 Those that have never dealt with ADHD, or seen the impact it can leave on someone you love or the family with a member that has ADHD then you may not understand the true impact of ADHD The issue with ADHD not being understood is that many individuals and families will not seek help as they are at times unwilling to share the challenges they face daily. First lets all understand that ADHD is real. IT IS NOT FAKE!! Individuals with ADHD are not just lazy. 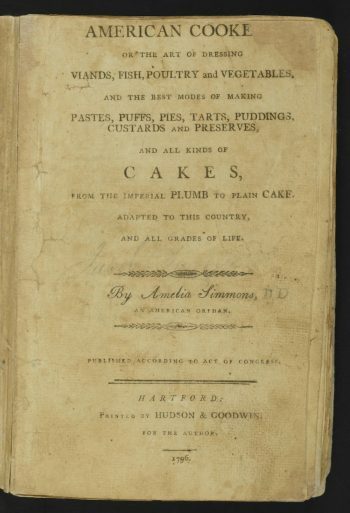 The first cookbook in America was authored by Amelia Simmons in 1796. A short 47 pages when considered with some of the large cookbooks of today's world. However inside the pages though there were recipes that packed lots of power. 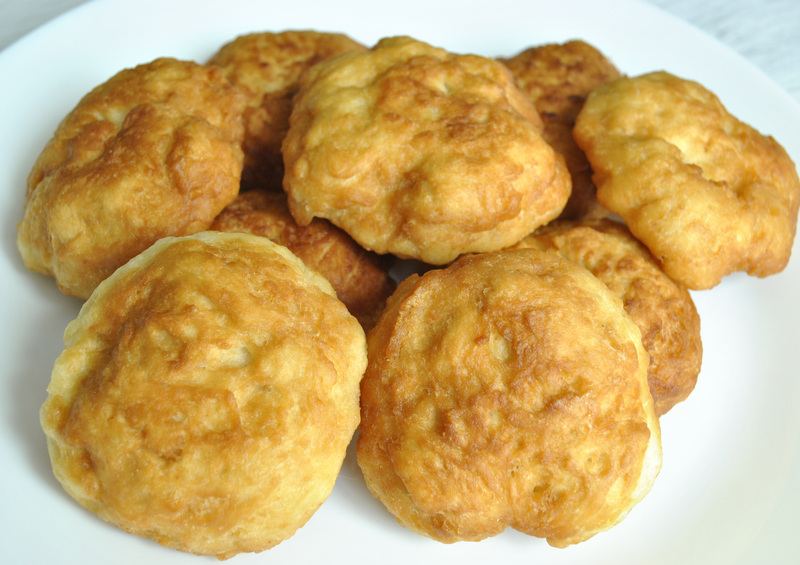 Recipes for johnnycake, federal pan cake, buckwheat cake, and Indian slapjacks. These recipes all used familiar ingredients that could easily be found often right in the cooking area. Ingredients such as cornmeal, flour, milk, water and fat. The cookbook was bought by many for over 30 years. Individuals living in New England, New York and the Midwest all purchased the cookbook. The cookbook American Cookery sits in the Library of Congress in a selection of books titled "Books That Shaped America"
Halloween has been in existence since pagan times. The history of Halloween is not clearly known as it was a time in history when much was not wrote down. In the world today, it is a holiday that is celebrated by a great variety of countries. Perhaps the reason Halloween is so popular is the fun and good times for both young and old associated with the holiday. As a pagan celebration Halloween is believed to have originated in the British Isles. During that time it was thought that spirits rose from the dead and mingled with those living during the day. Food was left at the doors of houses hoping to encourage good spirits. Masks were worn to scare off the bad spirits. 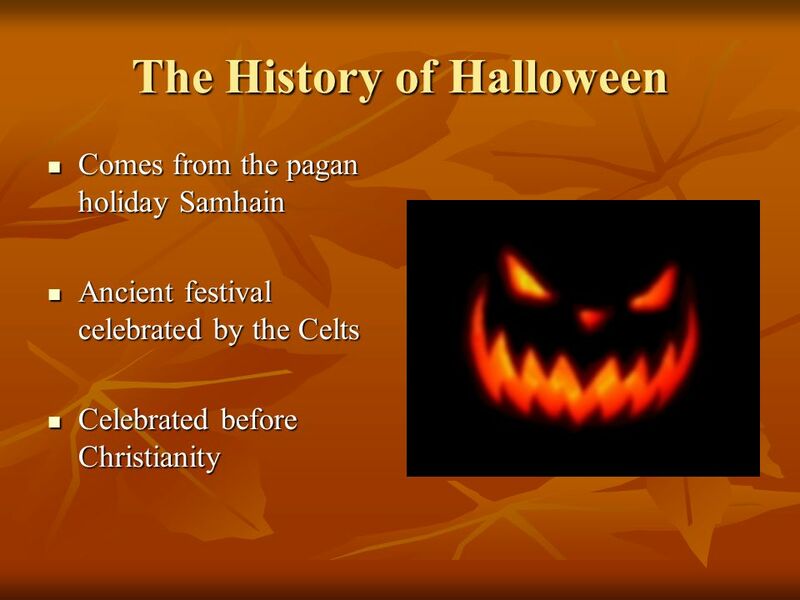 Other traditions were added to the celebration of Halloween after Romans invaded England. The dead were honored and the harvest celebrated may have been an addition of the Romans or the Celts. The Romans and Celts from Ireland and Scotland battled around this time period with neither side a clear winner. However, it was the Roman Catholic church that strived to rid the area of pagan holidays created a special All Saints Day to be celebrated November 1st. 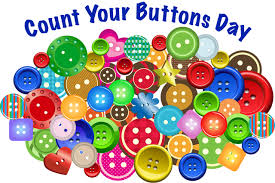 It seems that a great day to count your buttons occurs in October. It is a day that seamstress, quilters and others in the sewing world may understand the best. Their eye is very aesthetic and are able to find the value and beauty of more than the finished product. While it may bet the quilt or pieced pattern that one is most proud of but the smallest details even down to defining the smallest button is appreciated. Buttons have existed for quite some time. There is more than one functioning job for buttons with the top 2 being decorating and securing different pieces of clothing. All over the world there are stories of how the beautiful buttons were created from ivory, sea shells or bones. However, if it had not been for Germany during the 13th century buttonholes may have never made their appearance. Once they had appeared it did not take long before they were found in many places. Here is an idea, start a button collection. For each button you collect you can name a blessing you have received as well. Iodine is essential component of thyroxine and triiodothyronine both of which are hormones produced by thyroid gland. Iodine is only gathered through food in the diet. Inadequate iodine intake leads to inadequate thyroid hormone production. Hypothyroidism is caused by iodine deficiencies. Iodine Deficiency Disorders Prevention day which also is known as World Iodine Deficiency Day is observed each year in October. During this time awareness as to how much iodine our bodies need and the consequences we face if our body is iodine deficiencent. Iodine Deficiency disorders have been brought into the spotlight as a major public health problem with around 1/3 of the world population is at risk of iodine deficiency disorders. The WHO states that 54 countries are still iodine deficient. 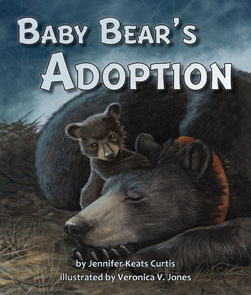 Congenital abnormalities such as deaf-mutism (inability to speak) and dwarfism. The thyroid gland demands adequate amounts of thyroxine to be takenin by the thyroid gland daily. The World Health Organization recommends that 90 mcg of iodine be taken in by infants and children up to 5 years old. For children 6 to 12 years old need 120 mcg of iodine intake and for individuals over the age of 12 as well as adults need 150 mcg. 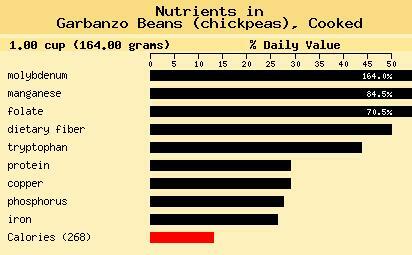 Garbanzo beans are commonly known as chickpeas. They are fairly commonly found served alone or in recipes like hummus. The texture of these legumes is sturdy but buttery. Garbanzo beans are easily recognized due to their round shape and have a mild nutty flavor that have some have referring to it as delicious. Garbanzo beans is a main ingredient in falafel which is prepared in both ball shape and patties. Bakeries in Italy and France are overflown with those searching for pancakes made from chickpea flour known as socca or farinata. Garbanzo beans are also popular in a dish served in India known as chana masala made of chickpeas stewed with onions, tomatoes and spices. Garbanzo beans are nutritionally rich as well, offering 50% Daily Value of fiber, 2/3 insoluble and helps support digestive health, 70% Daily Value of folate and 85% manganese combat oxidative stress, reducing the risk of heart disease and protects the respiratory and nervous systems. Garbanzo beans taste delicious in many cooked recipes as well. 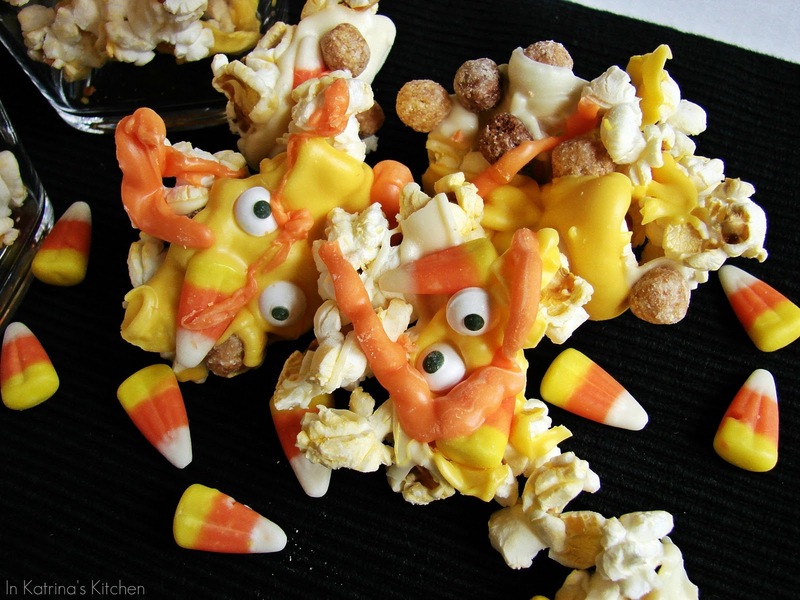 I am sharing a yummy recipe I think perfect for fall. Filling and yummy with the taste of pumpkin as well. The recipe is vegetarian in nature but can include meat as well if you would like to add. 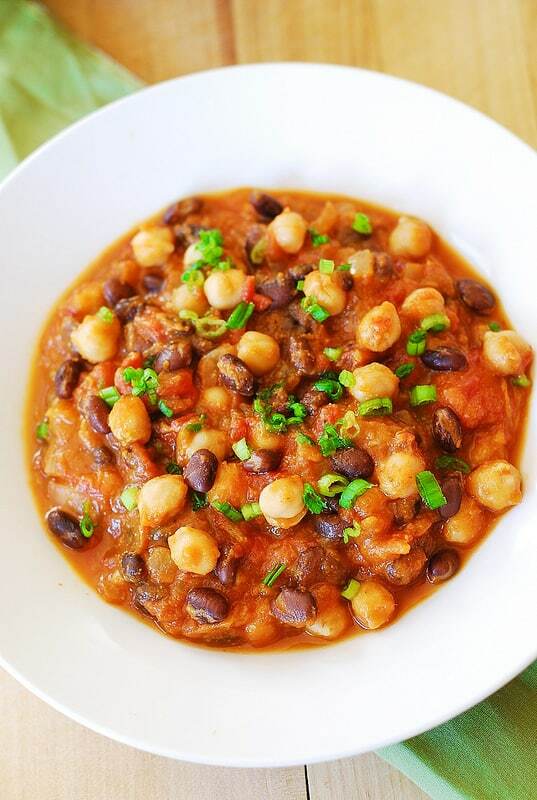 The protein in the pumpkin chilli comes from beans both black bean and garbanzo beans. 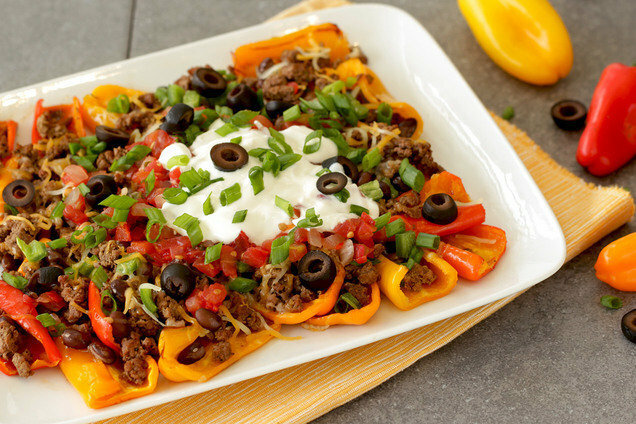 Make the chili as spicy as you prefer the choice here is yours. Add pumpkin, canned tomatoes (chop them up into smaller chunks), vegetable stock (or water), black beans and garbanzo beans. Add half the cumin and half the chili powder, stir everything well, and season with salt and pepper. Taste your chili, season some more with salt and pepper if needed. Add the remaining cumin (or more) and remaining chili powder (or more), if desired. Bring to boil, make sure to stir all ingredients well together to combine flavors and spices. Reduce to simmer and cook for 20 minutes on simmer. Meanwhile, bring a skillet sprayed with nonstick spray to medium-high heat. Add beef, and sprinkle with seasonings. Cook and crumble for about 5 minutes, until fully cooked. Have you ever spent time with your friend or sibling making all sorts of silly faces and spending hours laughing?? Make up some of these apple silly faces and have fun all over again. The Council on Alcoholism and Drug Abuse provides leadership for this exciting event. It is a nationwide celebration that has become a major force for raising public awareness and bring communities together to combat alcohol, drugs and tobacco use of our youth. In a small bowl, combine the eggs, a quarter of the sour cream, and the extracts, and whisk lightly until they’re blended. In the large bowl of a stand mixer fitted with the paddle attachment, combine the flour, ground almonds, sugar, baking powder, baking soda, and salt. Mix on low speed until everything is well distributed. Add the softened butter and remaining sour cream, and mix on low speed until everything is combined. Raise the speed to medium, and beat for 90 seconds. Scrape down the bottom and sides of the bowl with a spatula, then begin beating again. Add the egg mixture gradually, beating well after each addition. Scrape the cake batter into the prepared pan. Bake at 350 F for about 40 minutes, or until golden on top and a toothpick inserted into the center comes out clean. Cool the cake on a wire rack for 10 minutes, then run a knife along the sides, turn the cake out of the pan, and cool completely at room temperature. The cake can be made in advance and kept, well-wrapped in plastic, for several days in the refrigerator or for several weeks in the freezer. Stir in the vanilla extract. Let the cream cool to room temperature, whisking occasionally so that the top doesn’t form a skin. If you want to make this in advance, pour it into a bowl or airtight container, press cling wrap right on top of the pastry cream, and refrigerate until chilled. Pastry cream can be kept in the refrigerator for up to a week. Right before you are ready to assemble the cake, stir in the shredded coconut. Place the semi-sweet chocolate in a medium bowl. Pour the cream into a small saucepan and heat it over medium-high heat until it starts to simmer and almost boils. Pour the hot cream over the chocolate and let it sit for 1 minute to soften the chocolate. After a minute, gently whisk the chocolate and cream together until the chocolate is melted and the mixture is shiny and smooth. Let it cool at room temperature, whisking occasionally, until it pours thickly from a spoon. You can press cling wrap to the top and refrigerate the bowl for 20-30 minutes to speed the cooling process. You want it thin enough to flow smoothly and drip down the sides of the cake, but thick enough to hold its shape. To assemble the cake, cut the almond cake in half with a sharp serrated knife. Spread the coconut pastry cream on the bottom of the cake, all the way to the edge. Add the top layer of cake. Pour the glaze on top of the cake, spreading it out to the edge and encouraging it to drip down with an offset spatula. 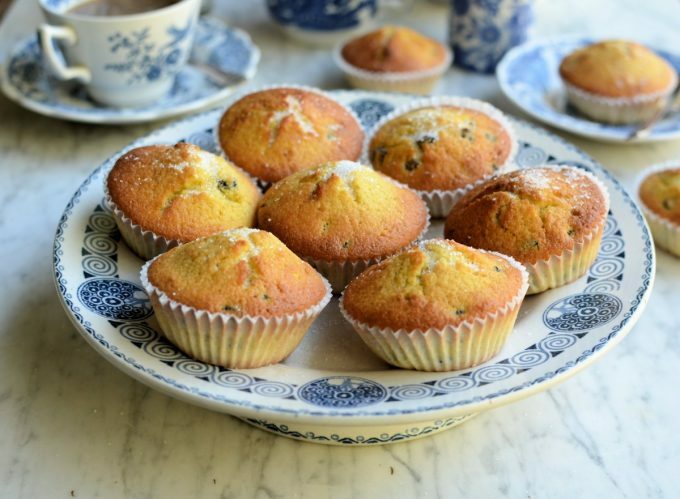 While the glaze is still soft, sprinkle the top of the cake with extra almonds and coconut, if desired. Refrigerate the cake to set the glaze, for about 15 minutes, before serving. 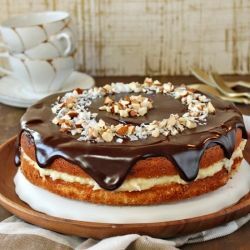 This cake keeps well and can be kept in the refrigerator for several days, but for the best taste and texture, bright it to room temperature before serving. Found in this song "Can you Feel It" is the sound of the vocoder. An audio effect processor that merges 2 sounds. Going from a vocal input's tempo and pitch changes and mirroring them with the signal of a synthesizer or second sound source. As a parent I strive to protect my children and do all I can to do just that. There are so many things to protect them from in this world. One thing that many may not think of is lead. Protecting our children from exposure to lead is important in order to ensure they have a long life of good health. 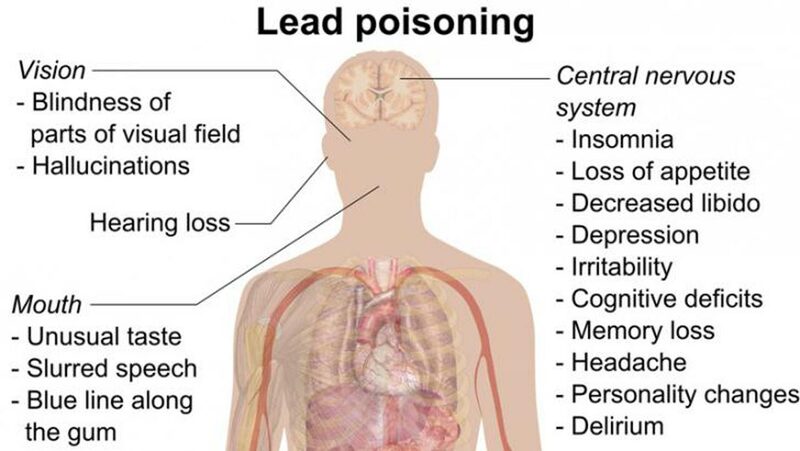 Nearly everyone can receive a bit from lead poisoning. Children under 6 years of age are most risk. Children this age often put their hands or other objects contaminated with lead dust into their mouths. Children living near the poverty line or under often live in older houses that are at greater risk. Lead paint was not banned until the later 1970s and houses built before this time may have paint that is peeling making the lead contamination higher. You can help protect your children from lead poisoning by having the test and dust in your home tested for lead. Make sure that there are no surfaces contaminated with peeling paint the child can reach. Regularly wet mop floors and wet wipe window components to rid of lead dust. Bare soil is another way that lead poisoning can take place. Grass should be planted on top of the bare soil or cover with mulch or wood chips. We have all seen it, we may have even used, the caps lock to get a point across. Some say its like yelling, I say its like enforcing the words being said. So is that the truth or is the Caps Lock Button even needed.??? 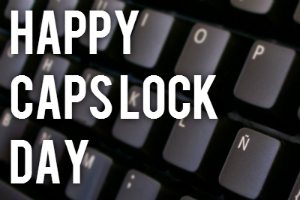 Since 2000 Derek Arnold of Iowa tired of seeing people using the caps lock just to express their status so the Caps Lock Day was created. It is simply a fun holiday to tease those who use the Caps Lock button when not needed. expressing a message from the weather monitoring network. As a mother, aunt and grandmother of children with asthma I have made friends with many that have worked in the respiratory department at several hospitals. The work they do is something that helps many not only children but adults in need as well. My husbands grandmother suffered from many respiratory problems as well. She was taught to smoke her "peace pipe" as she called it. It truly was one type of inhaler but she just had a way of making it all sound better. 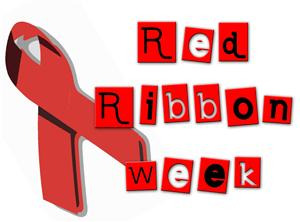 So this week I want to salute the many that I have met and the many others that are out there caring for the respiratory needs on individuals in their area. The week of October 21 to 27 recognizes National Respiratory Care Week During this week respiratory professionals who strive to help individuals with breathing and other cardiopulmonary disorders The professionals in this department are known as respiratory therapists. Patients range from young children with asthma to older victims of heart attack and stroke. Respiratory therapists also provide vital assistance to people delivering care inside helicopters and ambulances as they transport patients to a hospital or health care facility. 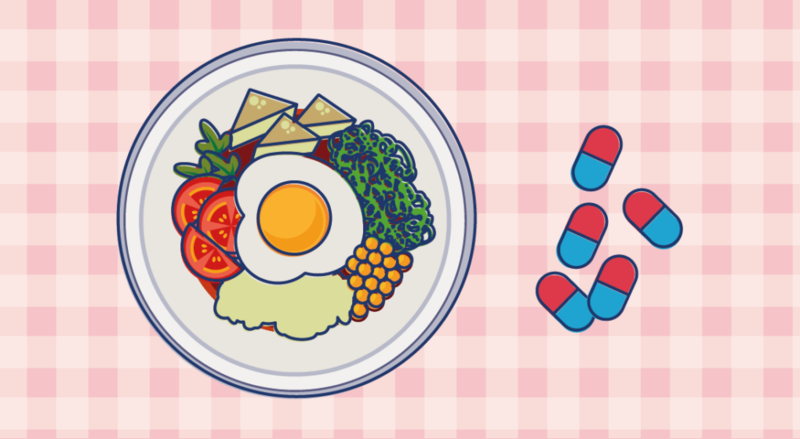 Drug interactions can take place for a number of different reasons. If the drug interacts with another drug that is being taken it results in a drug - drug interaction. If the drug reacts with food, beverages, dietary supplement it is known as drug nutrient / food interaction. Drugs can also interact with a disease that the individual has resulting in drug - disease interaction. Those with poor diets, serious health issues, children and pregnant women may have greater risk at developing food and drug interactions. Some foods may interact with the drug by increasing or decreasing actions or possibly producing serious side effects. These side effects may include issues with absorption by fatty, high protein, and fiber diets. Grapefruit Juice ==== grapefruit and its juice should not be taken with cholesterol lowering agents such as statins. Chemicals in grapefruit can cause an increase in medication potency by interacting with enzymes in small intestine and liver. Grapefruit and its juice can raise level of drug in bloodstream as well as increase risk of side effects such as muscle weakness and leg pain. A bulk supply of food will mean you will not have to go grocery shopping as often. 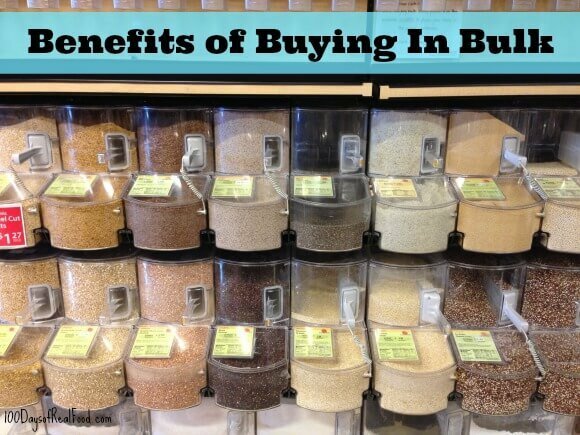 Before getting started buying food in bulk take into thought a few things. First, do you have enough space in the freezer or pantry?? Will it be saving money in the long run, be careful and figure how much per lb etc... What about waste?? Do you have to fix large quantity at once that you will not use?? Is it something you will eat enough so that you wont be letting good food go bad?? Apples=== I can recall my parents going to the apple orchard this time of year to buy apples in bulk. They were kept in a cool place, normally the closed in front porch and be used through out the winter. Cheese === can be a great buy when purchased in bulk. Cheese can be used in a variety of ways so buying in bulk is a great idea. It can be easily frozen as well. Pasta=== often with a long shelf life pasta makes a great item to buy in bulk. They will need kept in an area that is not extremely humid. Pasta will last for months and can be used in a number of recipes. Often there are great sales as well as coupons for pasta that makes it an even better buy. Canned Goods ==== great purchase when bought in bulk from box stores as well as when sales are going on. The only issue is that can goods can take up room so be sure to buy what you will use. Dried Beans and Oats === great to be purchased in bulk and saved in food safe bucket. My father started me on this when he gave me a bucket of dried beans that we were able to use when we were low on other food items early in my marriage. It is a great way to save money and have items right at hand so you do not have to go to store and shop. Meat ==== look for those sales on meat. I love to find great sales on meat, the price is lower and since meat is often expensive it is a great way to save money. Local farmers in our area and maybe yours sell whole or sides of beef , pig as well as chicken at a great value. Meat will stay good in freezer for months. Do you buy in bulk?? What is your favorite item to purchase in bulk?? To make the sauerkraut, heat the olive oil in a saute pan over medium heat. Add the onion and cook for 3 minutes, or until it begins to soften. Add the cabbage, apple juice, vinegar, water, salt and caraway seeds and bring to a boil. Remove from heat. 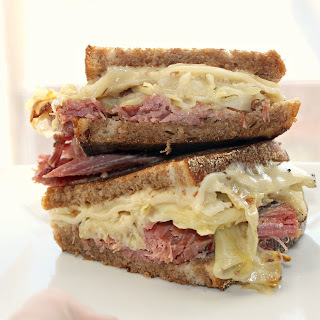 Use tongs or a slotted spoon to drain the sauerkraut and add it to another saute pan with the corned beef. Heat on medium until the corned beef is warm. Top with remaining bread and flip over. Cook until cheese melts. High levels of exposure can lead to attacks of the brain and central nervous system to cause coma, convulsions and death. Severe lead poisoning may leave children with mental retardation and behavioural disruption Lower levels of exposure causes no symptoms that are none of but that does not mean the child is safe. The days of widespread lead poisoning has decreased due to changes such as unleaded gas. Currently there are only a few countries that still use leaded fuel. Boil the chicken in a large pot of salted water until cooked through, 30 to 40 minutes. Let cool a few minutes, then shred the chicken off the bones and set aside. Bring the chicken water back to a boil and add the spaghetti; cook until just shy of al dente. You may need to add a cup or two of fresh water to the pot, if a lot of it evaporated during the chicken boiling. That was a weird sentence. Reserve about half a cup of the chicken/pasta water and drain the rest. In a large dutch oven or deep casserole dish, melt the butter with the oil. Once the butter is lightly foaming, add the green bell pepper, onions, garlic and mushrooms. Lightly season with salt and pepper. Layer strips of American cheese (this is what makes it! promise!.) 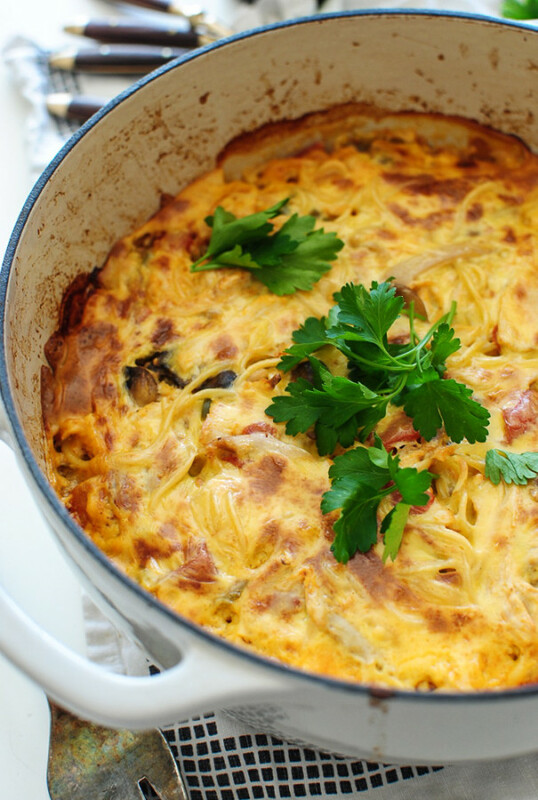 on top of the casserole, cover and bake for 30 to 45 minutes. Remove the lid at 30 minutes and let the cheese brown and bubble for a few more. YOU WILL MOST CERTAINLY FREAK.